3. How did you find out about [USF]:Im want to join some clan. Im just plaing and man from [USF] join room and im ask him for join clan. 12. Latest and Overall K/D Ratio:Overal:0.65, Latest:0.62. 13. (This answer should be at least 3 sentences.) Give THREE reasons why we should accept you:Im killer. Liker Sniper Rifle and good shooting from it, im good player. 16. Ever been in a clan? If so, list them:eem, im so bad remember, but im was in USF clan and.. im forgot 1 more aliance. 17. Explain why you had left these clans if you were in any:im leave from aliance which name i forgot because all member are left and became bored. 19. Are you in our Discord server? Also, how often will you be online (daily) in our server and in-game:im join today to server and im be every day in game, i think too be every day. 20. How long have you played plazma Burst 2:im plaing today and in june was last. 22. Out of the following, which faction would you like to be apart of? The United Special Forces Army, Navy or Airforce:im want to go to The United Special Forces Army. 23. 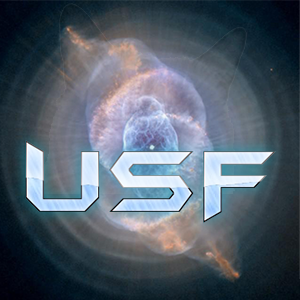 Have you been in [USF] before? If so, why did you leave:Yes i was. Im leave because somebody so pissed me off and im leave. I forgot who it was. This application is of a poor quality. The vague and unclear nature of his/her responses for questions #16, #17, and #23 give this application a low chance of being approved. The applicant's responses to questions #13 and #14 lack detail to the point where they cannot be considered valid responses to their respective questions. I would also like to inquire as to how said person "pissed you off" and why it made you leave. Other than that, this application is of a pretty low quality. This application is not that great, you need to fix some responses to those questions. Anyways, this application is of horrible quality and that I have no questions for the applicant.